Redder! As a natural auburn, I’ve long had a love-affair with cherry locks, typically hitting the bottle to take the hue deeper. Over the years I’ve been most shades of red from the coppery tones of an out-and-out ginger to a darker garnet. 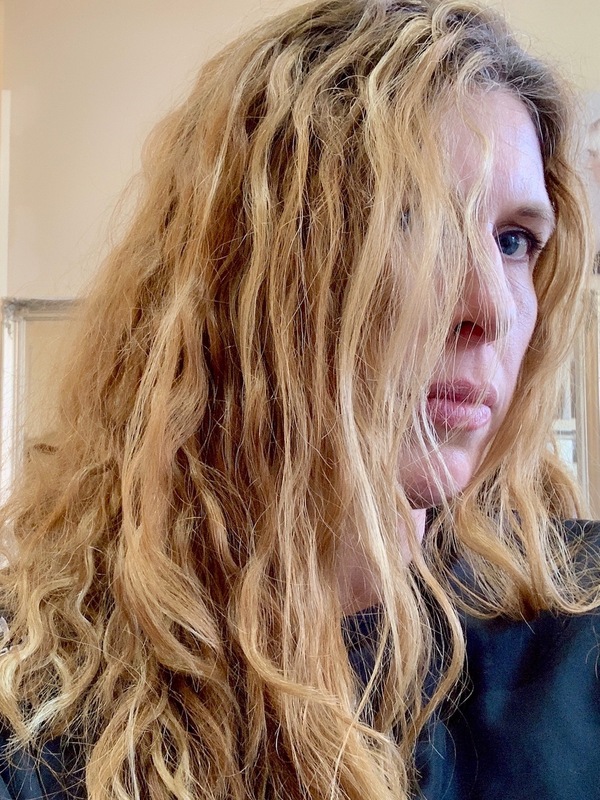 My hair has seen many a combination of chemicals, but the older I get the more I think we should be sticking as close to nature as possible. Hello to the brand new L’oreal Botanēa – a 100% herbal hair colour that promises vibrant natural results that are also super glossy and shiny. You’ll find the Velvet Rooms in the gorgeous old-worldly village of Chobham, smack bang in the middle of the High Street. 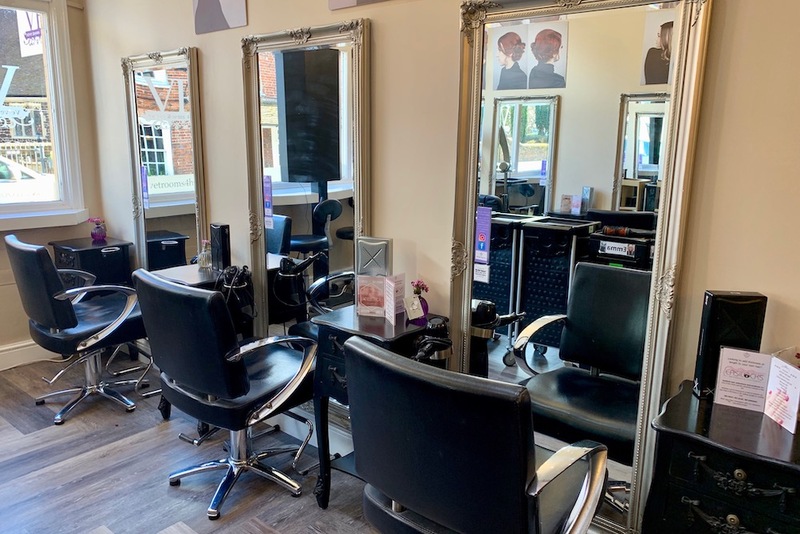 The fabulous Sun Inn pub is just a few doors away (so you could combine a morning in the salon with a long lazy lunch) and there are views from the salon to the pretty St Lawrence’s Church across the road. 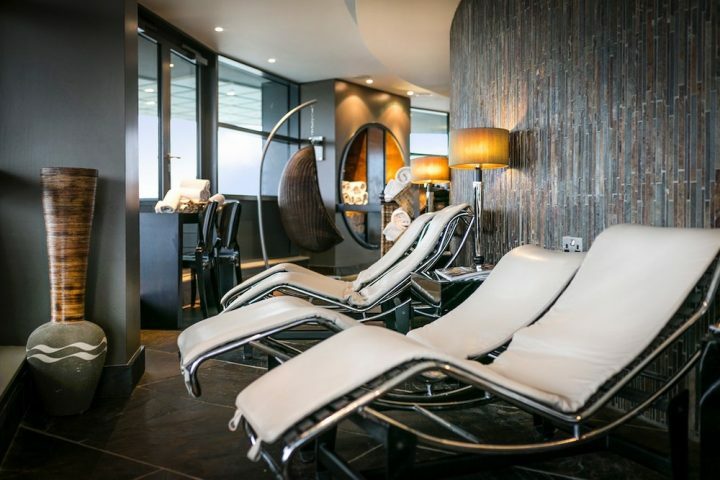 The Velvet Rooms is a salon that oozes style and sophistication. The reception area is separate to the main part of the salon, and the basins, too, have their own separate area. I love the way it’s been designed with these separate areas – and everything has been light and bright with classic cream walls, full-length gilt edge mirrors and ornate chandeliers. The beautiful arched window at the front – as well as being a gorgeous feature – means that even clients who are positioned nearest to it are not seen from the street because it’s not like a typical floor-to-ceiling shop window. As well as being experts in cutting and styling, The Velvet rooms are known for their expertise in colour. there are two highly trained L’oreal colour specialists – two of only 1000 in the whole country – so you know you’re in great hands. And they’re super friendly and down-to-earth too. No tut-tutting at hair that’s long overdue for some TLC! 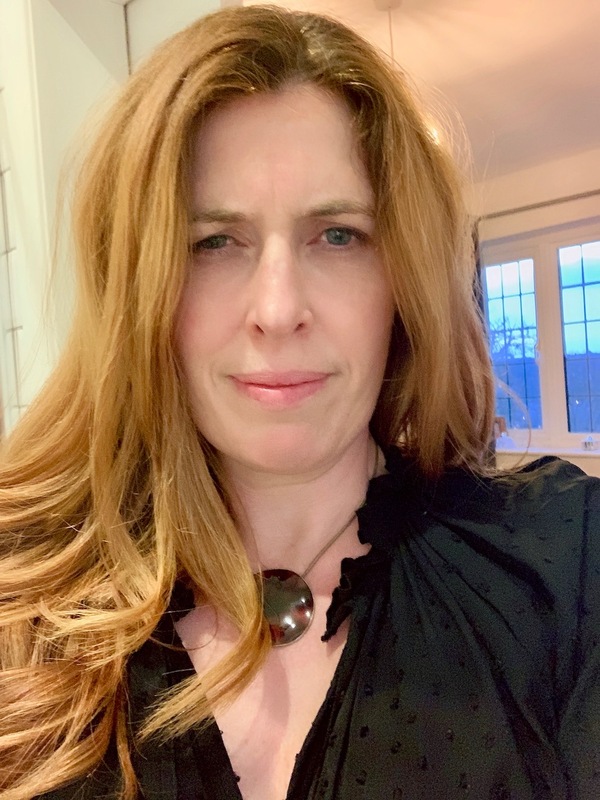 My stylist and colourist was Leanne, the owner of Velvet Rooms, and she’s utterly lovely – and really knows her stuff when it comes to hair and hair products. We talked through what I wanted in terms of colour and cut. Colour: vibrant red with all greys covered. Cut: weight taken out of my thick mane to give the curls a bit of a chance, but also allowing for me to straighten it sometime and still look good. The colour: L’oreal Botanēa is a long-lasting natural colour made up of just three ingredients: cassia, henna and indigo. The powders from each of these three ingredients are blended by colourists to create any shade, tailoring it to each client. They’re then mixed with hot water, and unlike traditional colouring techniques, are applied at the sink. Before application, the colour looks more like a bowl of muddy sludge. 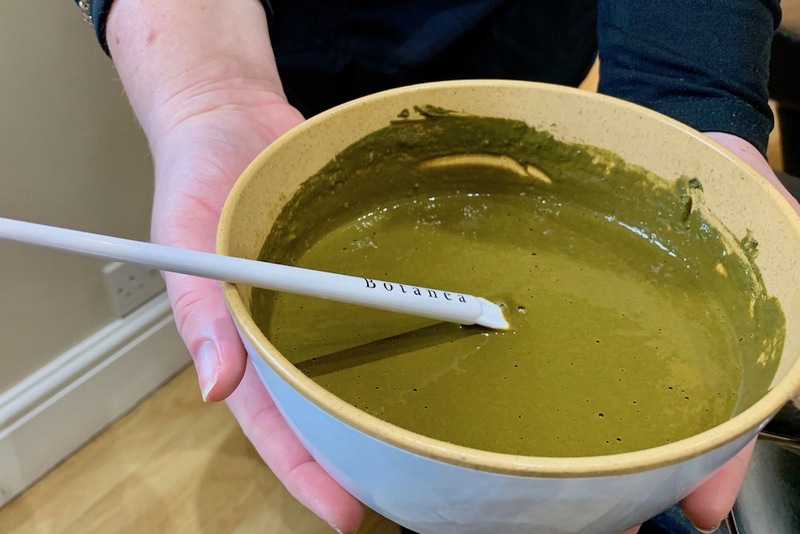 And it smells unlike traditional chemical colours too – it’s earthy and herbal, a bit like matcha tea. The sludgy colour was applied at the basin – a two-person jobbie – and my hair was then wrapped in towel and plastic wrap to keep it moist. 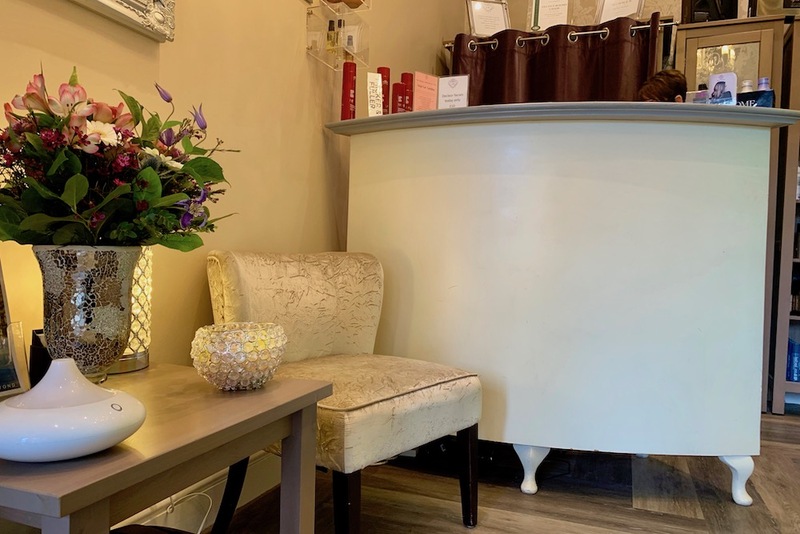 The developing time is 40 minutes to an hour, and during this time I was treated to an express facial – a new treatment Velvet Rooms is offering clients. 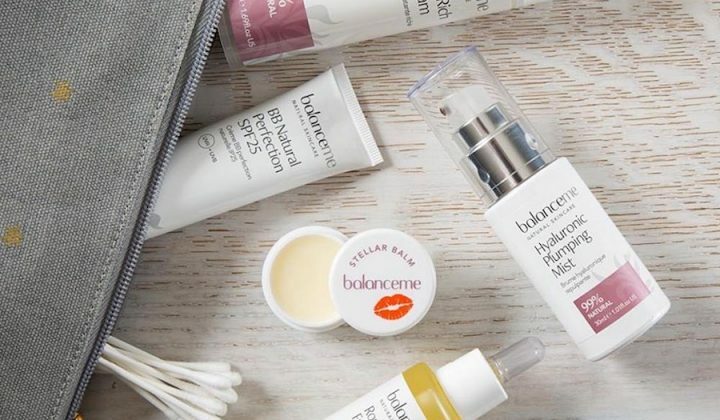 It’s a 15 minute treatment, using Decléor products by beauty therapist Anne-Marie, and it’s a lovely treat. When the colour was ready to come off, it was rinsed off in the sink and shampooed again using a 100% natural products (which smelt divine). I was really impressed with Leanne’s curl styling – this girl knows how to cut curly hair! She uses the Curly Girl Technique whereby each curl is cut individually at an angle so as to not disrupt the curl pattern. The usual practice is to layer hair when it’s wet and combed straight, so this makes a lot of sense. It took longer than a regular cut might, but Leanne’s attention to detail was first-class. She took a little off the length, and added soft layers on the top. … to sleek, stylish and red! Leanne definitely nailed what I wanted – I love the colour. It’s vibrant and red, but without looking artificial or too OTT. 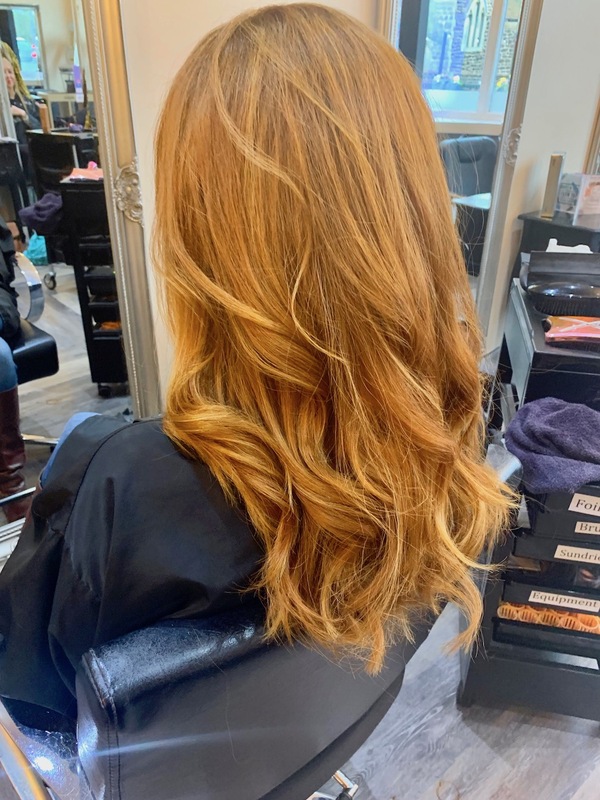 A long hair cut and finish with Leanne is £67, and colour starts at £52 for a whole head tint. The express facial is £20. Looks fab. What could they do for bleached blondes?